bogan: /ˈbəʊɡ(ə)n/ noun - an uncouth and unsophisticated person, regarded as being of low social status. "Put two of these creatures on stage to host a couple of games of bingo and the result is nothing short of glorious." Forget what you think you know about bingo and prepare to experience the simmering chaos of the comedy game-show, Bogan Bingo. 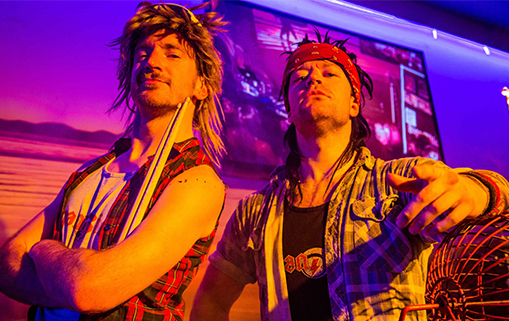 An undoubtedly unique night of entertainment delivered by two trailer trash bingo callers with a passion for 80's and 90's anthems - bingo will never be the same again after this eye watering, jaw dropping version of the classic game.